Four Walton South of England Champions! 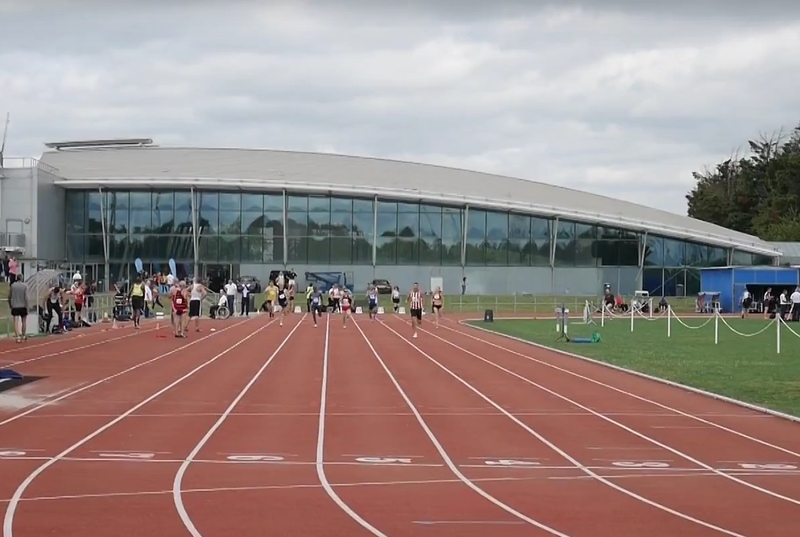 There were more stunning results from our junior athletes at the South of England age group Championships at Lee Valley last weekend. Stealing the show again were the Agyei-Kyem sisters, both taking gold in their respective long sprint events, Jeslyn running 39.88s for 300 (U15) and Cedelle, setting a new club record of 57.20s over 400 (U17). Younger sister Annalise knocked a huge half second off her 200m PB in the U13 time trials, running 28.99s into a stiff headwind, while Emma Fisher ran a good 29.29s in the same event. Ben Marks secured a superb gold in the U17 men’s steeplechase with 4:39.73, and George Sudderick did the sprint double in his less preferred events of 200m (gold, 22.60s) and 100m (bronze, 11.39s). Away from the medals, Jon Awuah (U15 Boys 300), Emma Horsey (U17 Women’s 300 hurdles), Charlotte Vaughan (U17 Women’s 800), Ollie Coppellotti (U17 Men’s 800), Michael Cottrill (U17 Men’s 1500) and Ross Hurst (U15 Boys’ 1500) all performed brilliantly in their respective finals, with Ross scoring a PB of 4:32.62. With the wind conditions, PBs were scarce, but there were also strong performances for Rachel Pharaoh (U17 800), Caitlin Paul (U15 200) and Charlotte Maxwell (U15 200). Hayden Evans (U13 200) was unlucky to miss out on a medal, recording the fourth fastest time (into a 4m/s headwind!) in the U13 boys’ 200. Out in the field, Amy-Lee van der Westhuizen held the fort with a magnificent 34.09m throw in the U15 girls’ hammer, finishing 6th. With competition now winding down, we are already excited to see what the future holds for these incredibly talented young athletes!